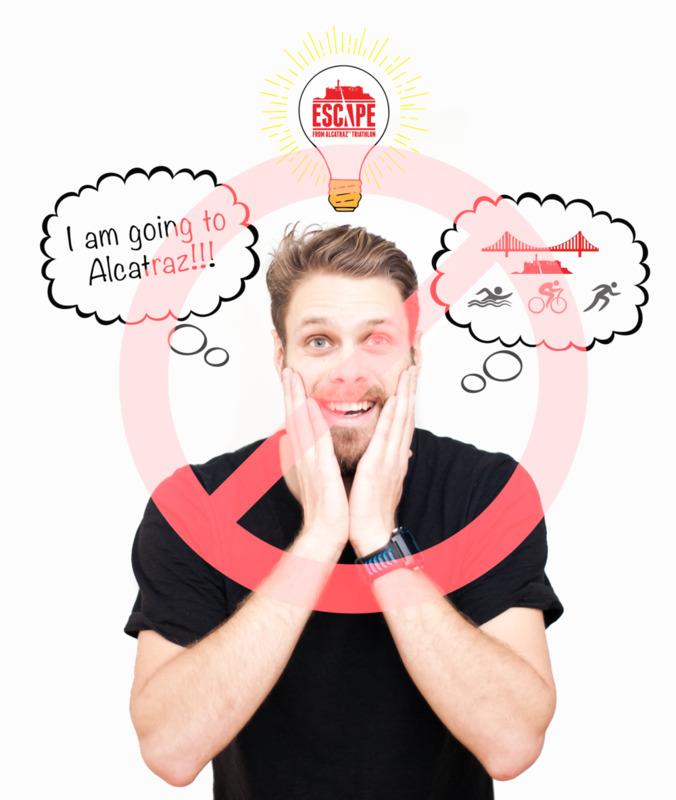 My ultimate goal of the Escape from Alcatraz triathlon is not to do a fast race. I will be there to enjoy the experience, to film and to get as much as possible out of the race. SO having a fast bike has not been a priority at all, but because I'm so tall I still ended up with one. Probably the most people I talk to about the Alcatraz triathlon ask this question, "Isn't there sharks in the water?" And the answer is, yes! It's the first time I've participated in a triathlon were an infomail was sent out with a specific section on sharks. She's a beauty isn't she? My twilight princess Midna. What? You don't name your bike? What kind of cyclist are you? Last on the program is a 12 km run through the Golden Gate Recreation Area to the Baker Beach Battery and back to the marina. Looking at the elevation map there is two steep hills with close to 75 meter elevation in the middle of the run. This makes it a tough run where it's smart conserving energy throughout so that you have enough when it gets flat at the end. These are not just normal hills though. Instead of building just steps that are solid, they have made a sand ladder that looks absolutely dreadful. In the videos I've seen so far even the professional athletes use their arms to pull themselves upwards because of slippery surface. This is by far the crux on the run leg and will either make or break the athletes attempting to escape. After a quick turn at Baker Beach Battery the run will follow the same path back, which at some places will result in very crowded or narrow passings. In order to not get stuck behind slower runners in these sections there might be a need to think tactically while running, deciding where to burn or conserve energy. The entire race seems very exciting and inviting to me, and I can't wait to do it. For now though I'll have to make do with looking at videos and training like a champ so that I'll be able to complete it in style! After the 1 km warm up run a 30 km long bike ride is ahead of the triathletes. This bike ride is considered hilly and will test the athletes climbing and handling skills as you go both up and down. For those who are not fluent in gibberish, (read the imperial system) the highest point on the course is at 100 meters, on the second climb if you look at the map on the right. The same spot will also be reached on the way back to the Marina. For me the best thing about this races is that it goes close to the iconic landmark bridge "The Golden Gate." It's something that many of us have seen in the 90s in the intro of Full House and that usually everybody knows about. even though the bike course looks cool I would have liked it to be situated even closer to the San Francisco city center, but I guess that would be very hard to do. The course goes westward, past the Golden Gate bridge, and towards the Golden Gate Park. Once the participants get there, they will turn around and bike approximately the same route back towards the marina. This means that the road will be shared with cyclists going both ways. Caution is therefore important, and crossing the yellow line can be seen as valid reason for disqualification. This is also a non-draft race, where illegal drafting can lead to disqualification. This shouldn't be as relevant in the uphills, but in the downhills and on the flats there are huge advantages to be made by getting close to the person ahead. There are officials all around the course to check if people break the rules. On the different YouTube films I have seen so far there are many places where the road is too narrow and there is no other way than to bike in traffic. The bike course closes two hours after the swim closure time (three hours after the start), which should be plenty of time to bike the 30 km. If somebody is too slow they will be picked up by the sweep car driving at the back.